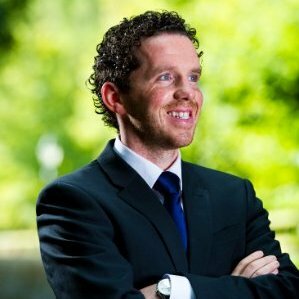 Professor John Nolan is the Principal Investigator of the Macular Pigment Research Group, Waterford Institute of Technology, Ireland. He has been researching the role of nutrition for vision for over a decade and shares with us the role nutrition and nutritional supplements play in eye health, especially the macula. 1. Tell us about the Macular Pigment Research Group. What are your credentials and what is the focus of your research? The mission of the Macular Pigment Research Group is to study the role of eye nutrition for vision and prevention of blindness. The Macular Pigment Research Group (MPRG) is based in Carriganore House, Waterford Institute of Technology, Waterford, Ireland. This unique research facility offers state-of-the-art vision testing laboratories and infrastructure. In addition, we have a high quality biochemical laboratory, which allows us to conduct clinical trials to the highest possible standard. Please see our website www.mprg.ie for more information. 2. What is the macular pigment (MP) and what role does it play in our vision? Macular Pigment is a yellow pigment found at the back of the eye in the centre of the retina in the area known as the macula. MP is made up of the dietary carotenoids, Lutein, Zeaxanthin and Meso-zeaxanthin. Macular Pigment plays an important role in our vision due to its light filtering and anti-oxidant properties. For young normal people without eye disease macular pigment has been shown to enhance visual performance and comfort. For example it has been shown to reduce issues associated with glare. For patients with AMD, macular pigment has been shown to lower the risk of progression from early AMD to late AMD. Overall macular pigment is believed to promote the health of the macula. See publication by Loughman et al which shows the impact of macular pigment augmentation on vision. 3. Explain macular pigment optical density. 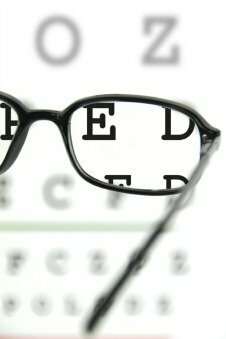 How is it measured and how does it's density influence one's visual performance and eye health? MPOD can be measured using various techniques. In short it is quite difficult to measure macular pigment accurately and therefore sophisticated research and clinical devices are required to measure this pigment in the living person. See enclosed paper which summarises the various methods for measuring macular pigment by Dennison et al. 4. Tell us about the Meso-Zeaxanthin Ocular Supplementation Trials (MOST) for patients with, or at risk for developing, AMD. 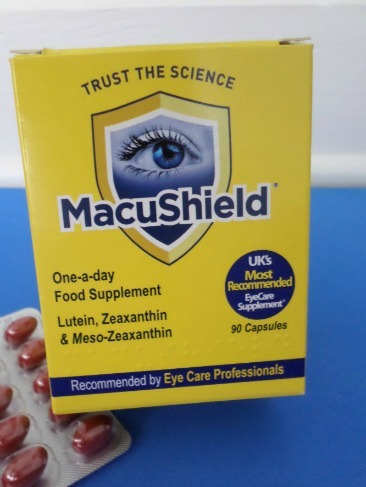 MOST has just been published and has shown that a formulation that contains meso-zeaxanthin results in best results for the patients with respect to increasing their macular pigment level and improving their visual function. Of note these were the first studies to use meso-zeaxanthin in the study intervention. The results have been extremely promising in that no patients in the study progressed to advanced age related macular degeneration. 5. Tell us about some of your latest research regarding the carotenoids, lutein, zeaxanthin and mesozeaxanthin in the Central Retinal Enrichment Supplementation Trials (CREST) . What is the goal of the study and who is eligible to participate? Recent data from our group has shown that the best way to increase MPOD is by using a supplement containing all 3 of the macular carotenoids, Lutein, Zeaxanthin and Meso-zeaxanthin. What we have discovered is that people at risk of AMD are lacking in macular pigment and are also lacking in central macular pigment. The scientists and researchers at The Macular Pigment Research Group (MPRG) have contributed greatly to the literature on macular pigment and its functions. In total, the MPRG have published 70 peer reviewed scientific papers on the subject matter. Our clinical studies have shown that when such individuals are supplemented with all 3 carotenoids (commercially available in the United States as MacuHealth ) the best results are seen in terms of patient response and enrichment of macular pigment. Also the best results are seen in terms of improvements in visual function in both the healthy individual and the patient with AMD. Please see the following publications which support the above statements (Nolan et al 2006; Kirby et al; Connolly et al (safety of MZ); Nolan et al (central dip rebuilding). The CREST Trials are the trials that are currently under investigation at the MPRG. These are funded by the European Research Council and are testing and continue to test the important hypothesis which suggests that macular pigment can enhance vision in the young normal population and can protect vision for the those afflicted with age related macular degeneration. 6. Many people are aware of lutein and zeaxanthin, but less aware of meso-zeaxanthin. 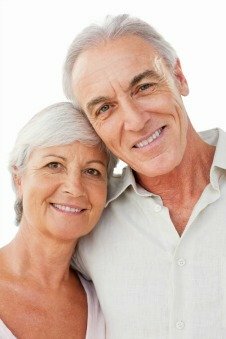 What is so important about mesozeaxanthin? Meso-zeaxanthin is the third and central macular carotenoid. Since 2006 this central part of the macular pigment has been studied in great detail. Of interest and importance, clinical trials have shown that when meso-zeaxanthin is included in the supplement, patients demonstrate best response with respect to their macular pigment and with respect to their vision. It is believed that the presence of meso-zeaxanthin in conjunction with Lutein and Zeaxanthin gives an overall better anti-oxidant effect of the patient. The reason for this is because these nutrients act synergistically, which means that they help each other do the job they are supposed to do. 7. What should a person look for in an eye health vitamin? What ingredients and in what amounts. Do you recommend one supplement over another? It is important that patients are aware of the contents of the eye health vitamin which they choose to use. Research from our lab has shown that a lot of the commercially available supplements do not actually contain the declared amounts of nutrients on their label. Therefore, we recommend strongly that when making a decision about which nutritional supplement to take that the patient chooses supplements that have appropriate clinical studies supporting their concentration, stability, response and effect with respect to vision. 8. Just recently, February 2014, a documentary was aired discussing the work of the Macular Pigment Research Group and Institute of Eye Surgery. Would you care to share it with our readers? This documentary showcased some of the patient success stories that have been observed here at the Vision Research Centre and highlight the importance of the clinical trials underway and we are happy to share this with your readers, see enclosed.